Science – …And the Truth Shall Set You Free. The Face of New £50 Banknote: Think Resist! Alexander Graham Bell thinks he is not the problem, but thinks Deaf people are the problem. He is the poster child of gaslighter. “Science”—from the dictionary: the intellectual and practical activity encompassing the systematic study of the structure and behavior of the physical and natural world through observation and experiment. Whether Bank of England considered his name, because of his idea to create telephone that changed the face of humans, but there is another hidden science what Alexander Graham Bell has contributed to use Deaf children as lab experiment. It was a tradition of genocide. If the Bank of England has chosen Alexander Graham Bell as the top choice, people who would carry paper money with his face around in the pocket, wallet, coat, purse, whatever it is, to remind those people that it is OK to allow Deaf-hating ideologist, with the ultimate goal of eradicating Deaf people in the name of hate crime is the greatest threat to Deaf people’s democracy. Power hunger or power struggle? As the Deaf community enter the global phrase of being under-privileged, it becomes obvious that the money is the root of evil. The paper money of AGBell’s face oppressing of the most invisible minority are dangerous, requiring a huge commitment of cultural appropriation to accomplish their renewal and rebuilt AGBell’s fame. The power of money is complicated by the cycle of oppression constitute consciousness of Deaf people whose lives is limited—denying them the passion. 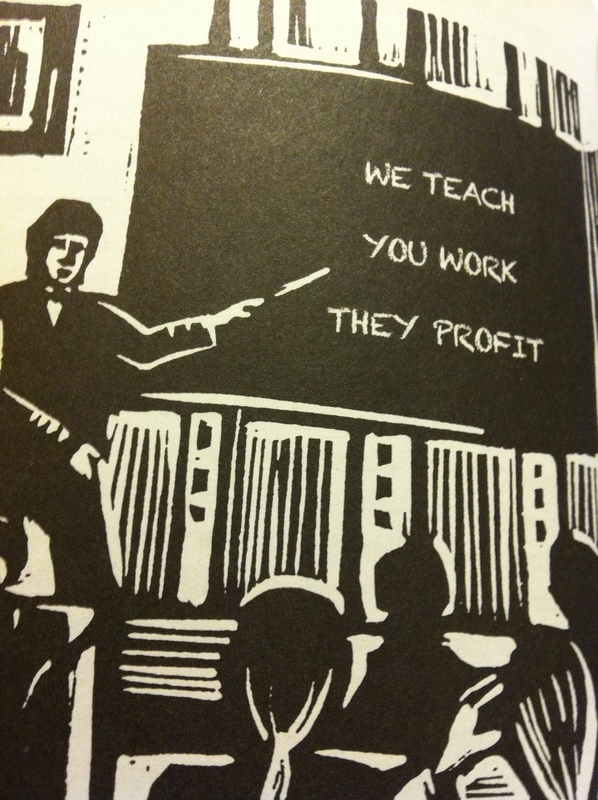 Unfortunately, there is no unique passion that gives the Deaf community break from money-free oppression. Every day, Deaf people are being targeted for big money and character assassination. Deaf people’s lives are in the danger of cultural appropriation, and that would be undesirable for everyone. It is necessary to fight against hatred practices by Alexander Graham Bell’s ideology that is infectious enough to warrant a protest by members of Deaf community. In this case, hatred will survive because of survival itself and not only because it has been influenced by stories. The goal of creating activism is not to allow Alexander Graham Bell’s face on the paper money, the first kind in the world, and challenge the practices of hate speech. Truth itself can be revolutionary topic in a society steeped in hearing privileges that makes necessary to take respect away from Deaf people. The society we live in, Alexander Graham Bell is pushing for Surdophobia culture, ‘the fear of Deaf people’ not just because it was deemed cultural hegemony in the eyes of Deaf people but also the ignorance and lack of cultural respect cannot be “un-done”—Deaf people are human beings—they are not human doings. The awareness of Deaf culture has been grossly neglected in the society, and it is deteriorating. It has nothing to do with right or left really, but the powerful knowledge about Deaf people has skewed for profit and not for facts. The final question, Is the face of Alexander Graham Bell on paper money, need any more arrogance, the leadership that exploits Deaf children with the lies as they make “deficit-thinking” decisions on those facts and not only on the emotionalized, oppressive of Deaf community and the misinformed public sentiment? Will Bank of England print this image on banknote (paper money bill) like this one below? 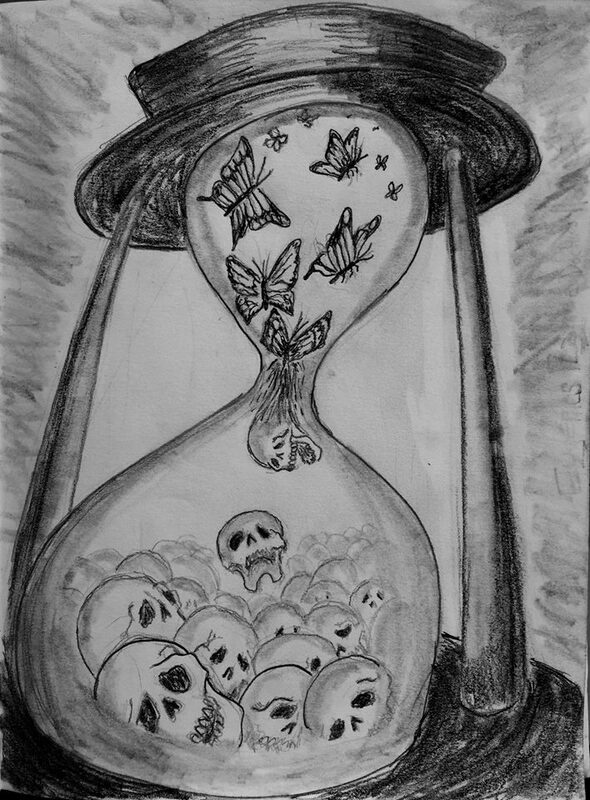 Deaf Butterflies Falling Into Skulls—Forgotten People done by David Call. What a special day! Woooooooooo!! It is September 11th! Yes, that’s right! “You must be crazy for thinking like that!” No, I am not talking about 9/11 in NYC–I am talking about 9/11 in 1880. Yes, Deaf people DO make good neighbors because they are ordinary people like you and me who suffered through Oralism have learned their struggles and the Milan Resolution of 1880 facts say much more than just that. Do not be manipulated by the fear hucksters as Milan Resolution says so. Get the facts for yourself. I do not care about whether you have sympathy or not. What matters the most here is that hearing people who commits Audism be held accountable and after they have been successfully held accountable in society, do they have the right to be integrated back into society? That means these people need sensitive training, disable ignorance, and other societal needs met. They need an “I AM AUDIST” label where, like today, results in discrimination, stigmatization, shaming, un-employment, under-employment, homelessness, and general social exile are the norms that must be reversed against Deaf citizens today. People are so reactionary on this stuff, the penalties are now almost as bad as “wiping them out”—yes, Audism is a terrible disease, but they are not the same as taking someone’s life. See my point? The Milan Resolution is a total mess as well. Audists who are caught and they do not land on Audism list—and all the Audists in the world are all lumped onto one list for lifetime humiliation. Hearing people already known to Deaf person commit the vast majority of oppression against Deaf people. The continual focus on the Deaf-danger myth—thanks to Karl White, the potential threat to Deaf community. Oh, not just Karl White, but Theresa Bulger, Dimitry Dornan, and yes, the founder of Tucker Maxon Oral School, Paul Boley, my first school and many other Audists out there. For the majority of Deaf community who suffered under the spell of Milan Resolution who have paid their debt to society should be reintegrated back into our communities WITHOUT the targeting that continually wounds them with shaming, stigmatization, unemployment, homelessness, and general social exile. As a liberal society, I believe in facts before myth, science before faith, and reason before assumption, and justice for all Deaf citizens—-not a justice for a few. Milan Resolution used myth, faith, and assumption that Deaf people are dumb because they cannot hear sounds. The Milan Resolution who make a deal that Deaf people all MUST learn oralism on September 11th, 1880—is nothing more than the thousands of other propaganda mill rumors that promote fear as a mean to profit. Interested readers who desire to learn about Milan Resolution should investigate the following facts: Religion plays a major factor. We need to repeal the Milan Resolution 1880 off the history books because it is the greatest legislative fraud that is based on false assumptions: The Oralism Success stories. We must as a humane society protect Deaf signing community from undue harsh response by Alexander Graham Bell Association of the Deaf and Hard of Hearing and its ignorant rabble. Enlightened Audiologists, Speech therapists, and such support alternatives to imprison them or else. Taxpayer funded cochlear implant companies would give them a glory story by getting Deaf children to become hearing and receive a good life and free Audists for more oppression who are more dangerous to society than anybody. Time to show compassion for the most put-upon hated minority in American society, the Deaf people. Allow them the respect you would show you win them and welcome them back into the society with open arms! Today is the saddest day in Deaf history, September 11th, 1880 where the Milan Resolution conference changed Deaf people’s lives forever! Obamacare: Should Cochlear Implant Be Part of Package? Is cochlear implant [CI] surgery covered in insurance under Obamacare? I hope not. Since Obamacare is a humankind’s natural condition. I hope Obamacare also understand the serious consequences that cochlear implant does not tell us anything; people with CI tells us thing the world need to know. We need to use scientific strategies to investigate the relationship of CI to education. The picture begins here. Again, Nature—it is humankind’s original or natural condition. Nurture—it is something that nourishes or trains. Now some Deaf people have stopped using cochlear implants—when you ask them why stop wearing them, they would say, “My nature is being Deaf.” Even though they were raised nourishing for years and years. Still nature overcomes nurture. Now, in America’s healthcare with the new law passed, they shall stop training Deaf children in speech and hearing that are nurture while they are not focused on nature of learning in American Sign Language and sign languages. Every group being fair game to this unsavory person makes this practice acceptable, is it not? The message we are missing is the lack of respect for cultural diversity, especially for the oppressed people who are still rejected to this day by the mainstreamed society and who are not empowered yet. This is the key. Nature vs. Nurture are difficult to discuss in Deaf community because when nurture is unsuccessful, they become anger or disliked that lead the occurrence of belittlement, bigotry, hegemony, etc. Science, as a way of thinking and investigation, is best defined in the truth that cochlear implant is not enough providing channels and is a failure in the eyes of insurance companies. Again, is the cochlear implant surgery covered in Obamacare’s package? You decide. Being Deaf is the real science of Obamacare. 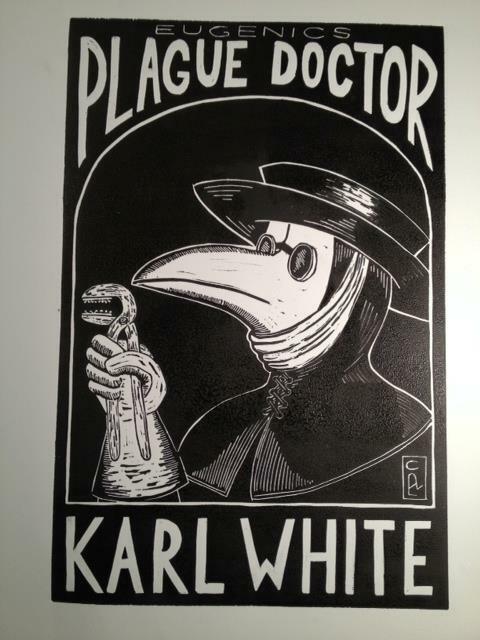 Get rid of plague doctors. Cochlear implants has been called the language of miracle deeply “rooted” in Deaf Culture. Wrong! Science means experiment. Concrete constitutes a real thing. We must remind ourselves that our Declaration of Independence makes our country different from any other nation around the world. The Declaration proclaims that Deaf people have inalienable rights to “life, liberty, and the pursuit of happiness”—being Deaf is the pursuit of happiness. Cochlear implant is a man-made and it is for awareness, not acquisition like a pumping hot balloon for many innocent people, figuratively speaking to target Deaf babies. Most recently there are several published articles that are showing that cochlear implant causes high risk for developmental delays in memory and higher thinking, etc. is painful to read. The study of higher socialization of Deaf children due to their assimilation into hearing society (cochlear implants)—Deaf populations in America and globally have been stigmatized and discriminated against throughout history. Deaf implanted babies who have been the highly oppressed group, falling subject to discrimination and in the past, genocide. This oppression is due to the fact that implementing American Sign Language (ASL) and sign languages rears Deaf children to be intellectually equivalent but socially stunted in comparison with their peers. There are several articles about cochlear implants that state that the higher social acceptance of cochlear implant makers is the result of only having to know how to be hearing. Technological improvements in cochlear implants mean that all children can have plenty of useful residual hearing. It’s a myth. Cochlear implants rely on the individual’s ability to utilize a defective sense of hearing to understand their world. Aristotle’s first writings on Deaf people laid the foundation of logical fallacies that were followed for centuries later. He believed that being Deaf is synonymous with being intellectually inferior, and thus coined the phrase deaf and dumb. Aristotle had begun it all. Deaf people who are forced and pushed to get cochlear implant is illegal. Deaf people would get mocked if they do not get cochlear implant. Deaf people come from many angles–from the standpoints of economics, politics, history, ideology, and many disciplines and the laundry list can be breed misery among Deaf people for generations to come. Remember the pursuit of happiness above? The concern is that Deaf American and other Deaf people everywhere, could enact the strategic multilingualism policies to ensure the protection and preservation of our beloved and precious language (ASL, LSF, BSL, and other more) from possibility of linguistic extinction/loss and sociocultural genocide or undermine the existence of minority language usage. Deaf people everywhere ought to call for the non-intervention policy to make our natural language of the Deaf to the protected status to the listing of endangered language usage in the United States and other countries. Beginning with the work of AGB in the late 19th century, Deaf people have been frequent and prominent targets of the eugenics movement. It is not widely known by the general public that, in addition to his work as an inventor, Bell was also a leading figure in the education of the deaf in the late 19th century and 20th centuries. In order to put this issue into context, it is important to consider Bell and the educational and social programs he promoted. In a time of great economic, scientific, and technological advancement of cochlear implants, it is a mistake to believe that it is a miracle. Cochlear implant corporations are trying to be “global” in scope. They target Deaf people everyday. Clearly the cochlear implant corporations have shown themselves to be guilty of bigotry and excluding Deaf people from consideration. What bothers me the most is that cochlear implant makers are promoting “rags-to-riches”, “unknown-to-known” and “Deaf person-can-now-hear” hoax. It is not necessarily a privilege to be Deaf, but it is certainly has it benefits. That is why we have ASL and Deafhood. Deaf people are concrete! Cochlear Implant Promoters: Stop Recruiting Deaf Children! Cochlear implants are irreversible and irreplaceable. The article was very important to read for one biggest reason: Doctors are against recommendations by implanting Deaf children and that is damaging enough already. This is a huge step! It is very important to remember that none of young children under seven years of age have a normal speech. Cochlear implant promoters always target on babies and children under age 7 do “age-appropriate” speech. Do we even realize that? The link below will lead you to read and understand why the doctors are now against cochlear implants. The other thing is that the older Deaf children began grammar lessons, which focus on their skills in applying punctuations in their speech. CI does not pick up punctuation “pauses” because it is unable to filter sounds as well as “punctuation” silenced. From the article that says, “The device was implanted before they were 7 years old….” Again, up to seven years old. It is a big trick! No child, Deaf and hearing alike, have normal speech till after age 7. Ask any linguist, good or bad, if children under age 7 years old have intelligible speech. The answer will be NO. Period. How can they compare deaf children with cochlear implants with those children if their speech is not intelligible? They would capitalize on “age-appropriate” speech, meaning unintelligible speech. It is totally unbelievable! They always advertise deaf children up to age 7. In grammar school, children are taught to speak properly based on punctuation. Once they have mastered the speech, they begin to shift from writing to rhetoric, the highest form of speech. Like I said in my older post, I had witnessed plenty of “yes-man” environments at Gallaudet where they accept the information with questions that confirm the same information. They allow the advertising flyers about cochlear implants on the hallways there. Serious business. What bothers me the most is that the article said, “the implant preventing the thinking capacity among the kids” is very scary to read like this! How well Deaf children with cochlear implants, for example, depends on how much of listening and speaking they have done, and it is never autonomous! They have to start to think about hearing: they enter into a body of thought and try to hear. FOR WHAT? It is like, why would the bus driver drive to a wrong place and that’s how badly the thinking capacity is! For example, in late 1980s, 12 children died from the cochlear implant surgery! Cochlear implant makers are trying to make Deaf children to be “hearing” people and act considerably different. All they care is about moneymaking and charging down on our being Deaf. They make us “hear” through high “hearing” technologies. It is all about general social exile are the norms that must be reversed. The doctors who agree that cochlear implanting are morally wrong that makes them good doctors! Maxwell Bennett wrote in the Neuroscience & Philosophy: “The brain does not hear, but it’s not deaf, anymore than trees are deaf”. The other words, only human beings can be said, “to see or be blind, hear or be deaf, thoughtful or be thoughtless, and decisive or be indecisive.” We live in a society, why not we taught to believe in facts before myth, science before faith, and reason before assumption?